Bar Island, part of Acadia National Park, is directly north of the West Street town pier in Bar Harbor, Maine. It was included in the authorized boundary of Acadia in 1986 by P.L. 99-420. At low tide, the island becomes accessible by foot or by an all terrain type vehicle across a natural gravel land bridge. 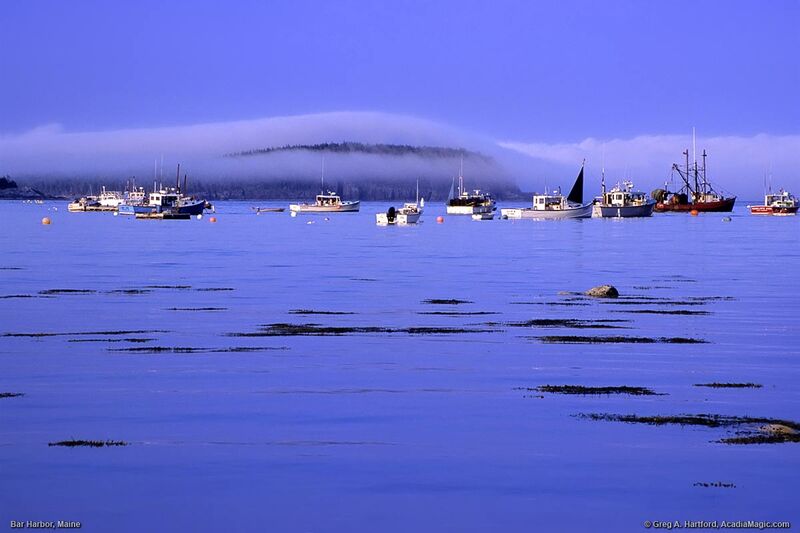 Visiting there will provide a spectacular view of Mount Desert Island with Bar Harbor in the foreground. Look for Bridge Street on the north or ocean side of West Street to gain access. Before going, check for the local times of low tide and allow yourself enough time so that you will not get stuck on the island. Plan on having no more than a maximum of 1.5 hours before and after the low tide. Be sure to take a watch, cell phone, and wear hiking shoes or boots as it can be wet. Get ready for a wonderful and alternative nature fantasy tour within Acadia National Park. Once you cross over to Bar Island via the natural land bridge, you will climb over some rocks before reaching a wide path (more like a small vehicle access road) that goes up a gradual incline to the left through a wooded area. This goes for a short distance, then makes a hard right turn to the right. If you look closely to the right near the start of this road, you should see a small foot path that goes up through the woods. Taking this path will cut off quite a few steps but is a little steeper climb. Having a walking stick of some kind or even an extended photo tripod can help. The wide path or access road crosses the interior of the island and leads you to the right side as viewed from the shores of Bar Harbor to the south. You may be having a good conversation with friends and family but I suggest being very quiet. You might be surprised at what you will see. One of the earlier times when I visited Bar Island, I was walking along and decided to pause to look through some of my camera gear, anticipating the view that was going to open up once I reached the high ground. I happened to look in front of me in the woods and was surprised to see a deer no more than 10 feet away from me, calmly watching what I was doing. Their color is so well camouflaged that they can be difficult to see at a glance. Further ahead, you will come to a split in the road or path. Going to the right takes you to the former location of the home of the journalist and author, Jack Perkins. The National Park Service purchased Perkin's 12 acre property in 2003. In 2010, the main house, guest house, and shed were removed. 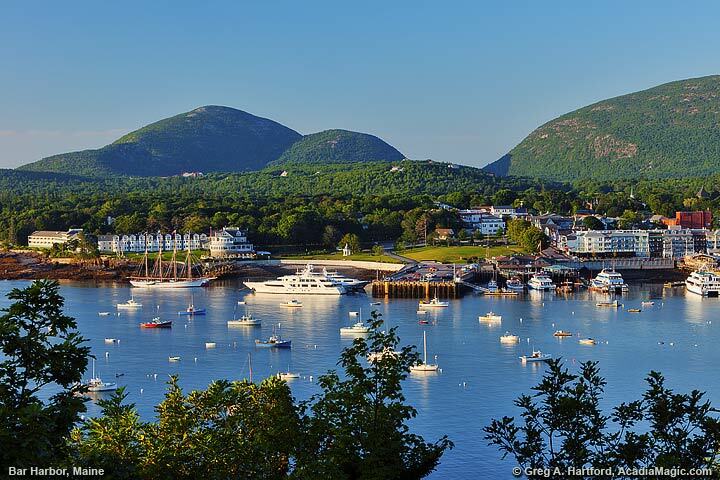 Taking the left at the fork will lead you up to a higher observation point that opens up to a breathtaking panoramic view where you can get some fantastic photos of Bar Harbor with Champlain Mountain and Cadillac Mountain in the background. Enjoy! 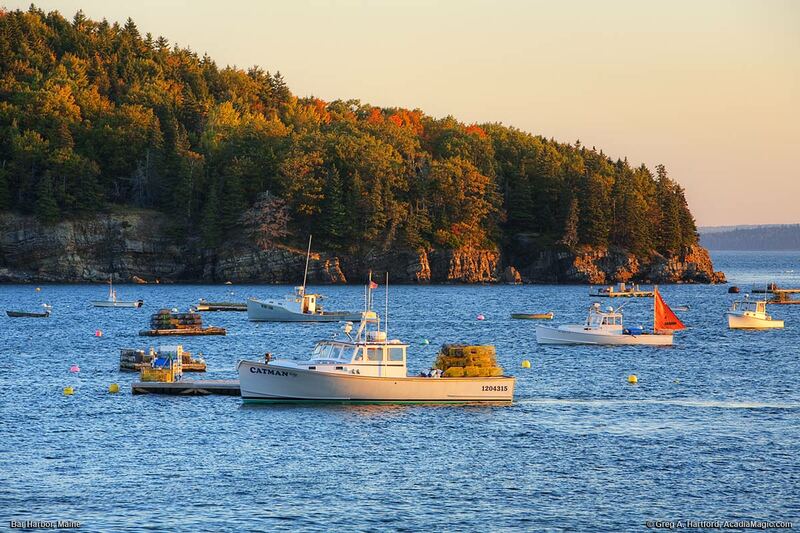 Bar Island is actually part of the municipality of Gouldsboro, located on the mainland near the Schoodic Peninsula. Gouldsboro was originally a very large coastal plantation that was incorporated in 1789 while Maine was still part of Massachusetts. 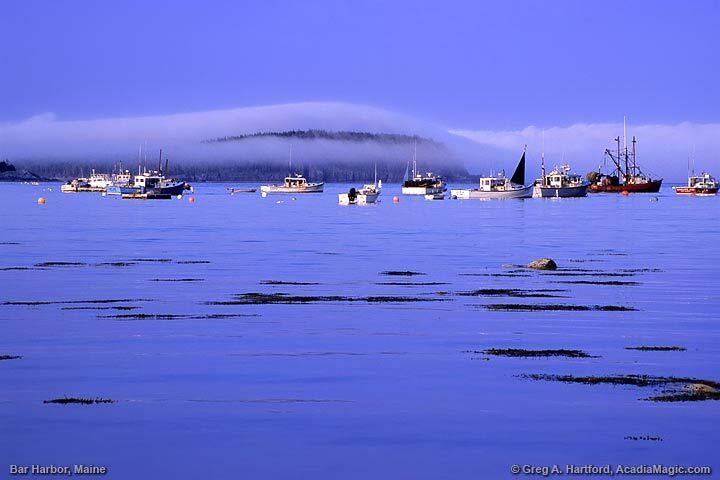 According to author Charles McLane in his book titled Islands of the Mid-Maine Coast (1997 ISBN 0004481840) Bar Harbor attempted multiple times to gain authority over Bar Island. It seemed logical since the two are joined by a natural land bridge at low tide. However, a 1903 Court ruled that Bar Island shall remain part of Gouldsboro under its 1789 articles of incorporation.